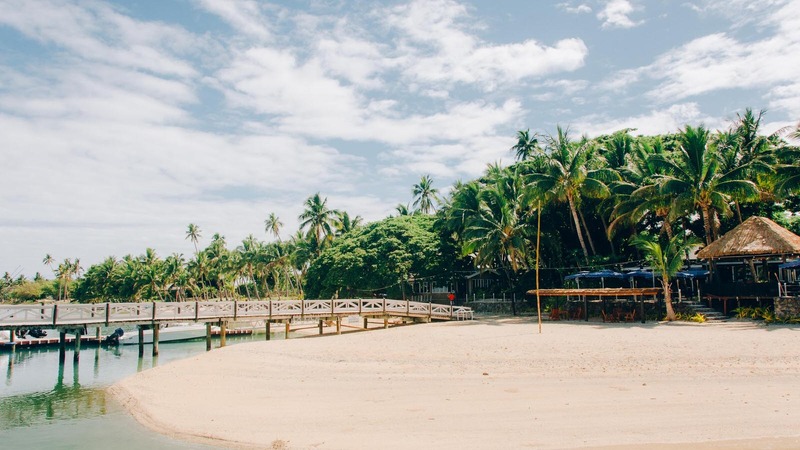 If you're looking for a great package holiday to Fiji or you just want to a great Fiji holiday deal then First Landing Resort is perfect for you and your family! An excellent choice for Romantic Holidays, Honeymoons and Family Holidays with our range of accommodation from affordable Bures to Luxury , private Villas and Apartments. First Landing Resort is set on the white sands of Nalamu Beach at Vuda Point, and looks across Nadi Bay towards the famous Mamanuca Islands. Each night you’ll be amazed by the amazing sunsets and cold drinks at Nalamu Bar. Prior to the 1800’s Fiji had almost no connection with the outside world. The South Pacific was just being discovered. In 1789 Captain William Bligh was set adrift in a lifeboat near Tahiti by his mutinous crew of the HMAS Bounty. Captain Bligh sailed between the two large islands of the Fiji group, Viti Levu (“Big Fiji”) and Vanua Levu (“Big Land”). Upon entering the Fiji waters their canoe, the Kaunitoni, hit a reef and floundered, and they landed on the beach where First Landing Resort is located.